Leonardo Da Vinci is considered to be one of the greatest painters of all time and perhaps the most diversely talented person ever to have lived, responsible for the Mona Lisa, The Last Supper, The Madonna of the Carnation and Vitruvian Man. 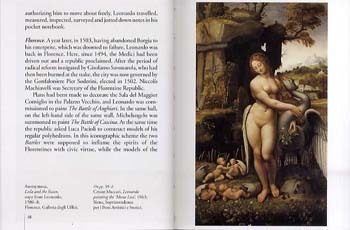 Leonardo was an Italian Renaissance polymath: painter, sculptor, architect, musician, scientist, mathematician, engineer, inventor, anatomist, geologist, cartographer, botanist, and writer, and this captivating book provides the reader with a unique insight into the life and work of one of history's most intriguing figures. 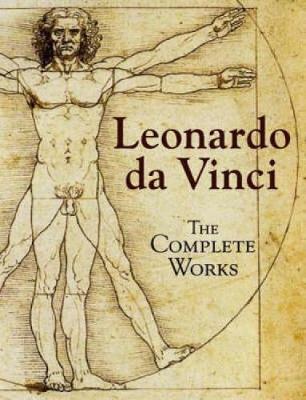 All of Leonardo Da Vinci's work is presented in this compact volume - from his paintings and frescos, to detailed reproductions of his remarkable encrypted notebooks. 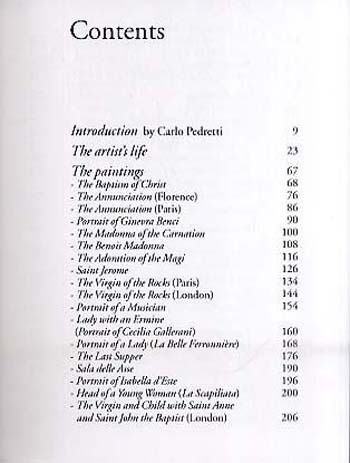 As well as featuring each individual artwork, sections of each are shown in isolation to reveal incredible details - for example, the different levels of perspective between the background sections of the Mona Lisa, and the disembodied hand in The Last Supper. 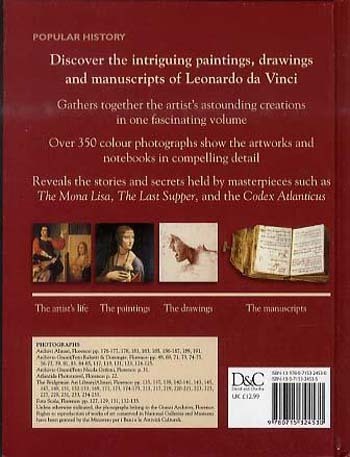 640 pages of colour artworks and photographs of Da Vinci's original notebooks, accompanied by fascinating biographical and historical details are here.